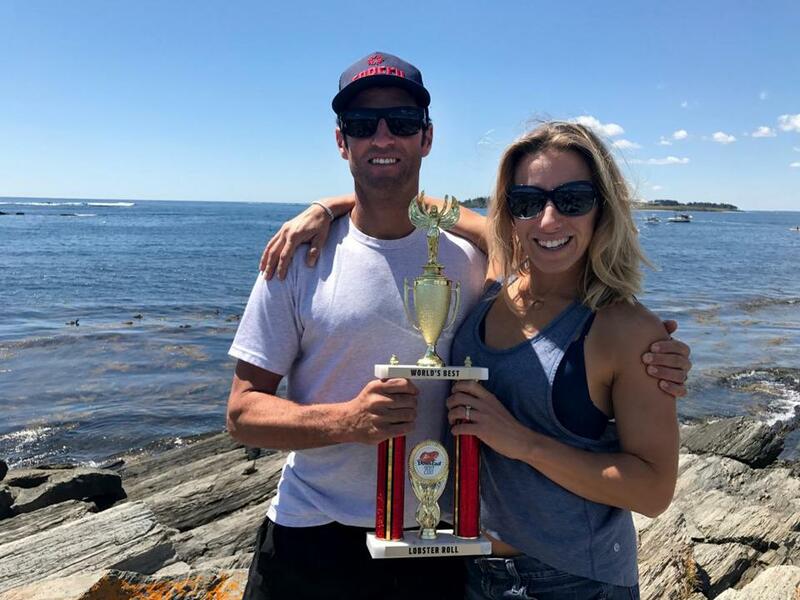 Ben and Lorin Smaha of Park City, Utah, took top honors in last weekend&apos;s World&apos;s Best Lobster Roll competition in Portland, Maine. Both have New England roots. 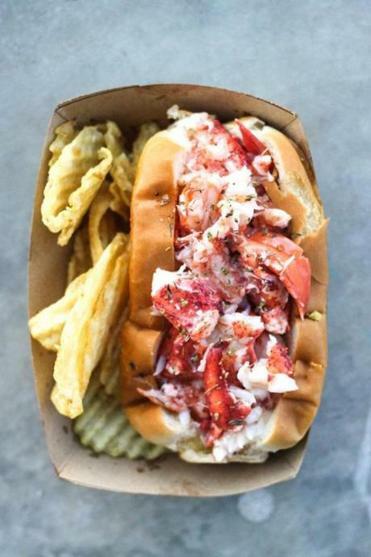 New England claimed Utah’s most notable athlete when the Boston Celtics lured free agent Gordon Hayward from the Jazz this month, but the Beehive State struck back in a big way last weekend, claiming top prize in the World’s Best Lobster Roll competition. Ben and Lorin Smaha of Freshies Lobster in Park City, Utah, were tapped as the winners of Down East magazine’s contest Saturday in Portland — a somewhat surprising development in a competition that included many New England-based participants. Indeed, when a friend first alerted them to the lobster-roll competition months ago, the couple had some concern about whether a Utah business even stood a chance in a Maine-based event. “We were just kind of going into it as, ‘Let’s have a weekend away in Portland, catch up with family, have some fun, [and] meet some people who are doing the same thing we’re doing,’ ” Lorin Smaha said. After setting up shop last Saturday at Thompson’s Point, however, it quickly became clear that they were doing something right. A group of 250 VIP ticket holders initially elected their roll as one of three finalists in the competition. Later, a panel of judges named it the best overall. In their praise of the winning roll, the judges cited everything from the meat to the bun to the seasoning. But it probably didn’t hurt, either, that both of its creators actually hail from New England. Lorin Smaha, who attended the University of New Hampshire, and Ben Smaha, who went to Green Mountain College in Vermont, met in 2008 while both were living in Utah. She noticed his New England-centric hat and struck up a conversation. Shortly thereafter, they began selling lobster rolls at local farmer’s markets, and in 2013 started a food truck, hawking their rolls on the go. Last December, they opened a brick-and-mortar location in Park City, in addition to the truck. The winning lobster roll in last weekend’s Down East World’s Best Lobster Roll competition in Maine. “I would close my restaurant before I used something that wasn’t up to our standards,” Lorin Smaha says.